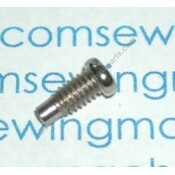 Stop motion screw fits many clutch knobs #254.Alternate Part Numbers100043053 Brother, 141914-892 Si.. 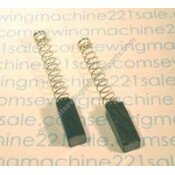 Fits many Singer, Kenmore, Brother, White and most other models. 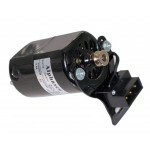 May be supplied in black or silver..
Motor is 0.9A, 7000RPM, AC 110/125V, 90 watt, 50/60Hz. 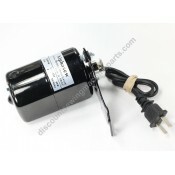 Fits most Kenmore machines where the motor i..
Motor is 0.9A, 7000RPM, AC 110/125V, 90 watt, 50/60Hz. Fits models: 148 and 158 series where the mo.. This motor block kit contains three cushioned inserts. 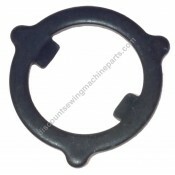 Two round pin type (right and left side) and..
Delrin plastic, snap-in place in just a few seconds. Removal of main shaft no longer needed.Fits the..
Adjustable top shaft bushingFits the following Singer sewing machine models750-series Touch and Sew..
Adjustable top shaft bushing.Alternate Part Numbers161608Fits the following Singer sewing machine mo..
Adjustable top shaft bushing (loading cam). Also kicks out the pattern selector mechanism on some 6..